Trupti Patel, a bartender at a restaurant on M Street and a political activist, is running for the Foggy Bottom and West End Advisory Neighborhood Commission seat 2A03. 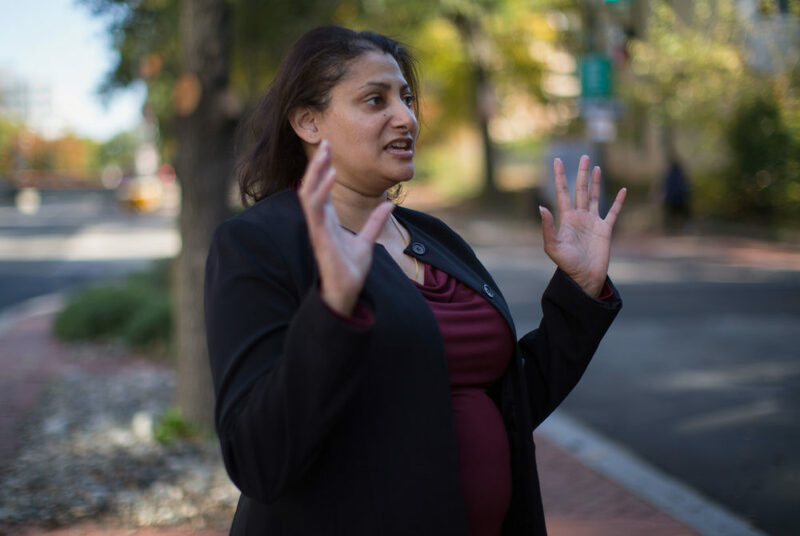 Trupti Patel, a bartender at a restaurant on M Street and a political activist, is running for the Foggy Bottom and West End Advisory Neighborhood Commission seat 2A03 on a platform she said would bring residents together to solve local issues and increase a sense of community. Patel, 41, who received a master’s degree in political management from GW, has lived in the neighborhood for 16 years. She has spent her career working on political campaigns advocating for gun restrictions, accessible health care and the implementation of Initiative 77 – a ballot measure intended to increase minimum wage for tipped employees that voters approved in June but the D.C. Council repealed last month. Patel is running uncontested to replace Marco Guzman, a state tax editor assistant at Tax Notes, who decided not to run for re-election. Patel said she is running for the commissioner spot – which covers an area between I and 24th streets and Pennsylvania Avenue – because the debate over Initiative 77 showed that local government wasn’t listening to residents’ concerns. “It was really frustrating for me, personally, to just see how disconnected I felt our political leaders were from the needs and wants of D.C. voters and citizens, and so I slowly got very involved,” she said. Patel said the presence of electric scooters in the District has also sparked a contentious debate in the neighborhood, as many residents use them for affordable transportation, but others have deemed them a nuisance and safety hazard. She said scooter operators should respect residents by following safety rules, and scooter companies should provide training to users and fine riders who violate a safety law. “If the company wants to come into the community and wants people to be able to use their products, then I feel like they should be the ones to make sure their product is being used responsibly,” Patel said. Patel said she is also running to address personal safety concerns in the Foggy Bottom and West End neighborhood. She said she will advocate for better lighting on streets so residents feel safe walking at night and said she wants to build a sense of community so residents are watching out for each other’s safety. “I feel like there are so many people that live here, but at the same time, are we really watching out for each other?” Patel said. Patel said she will make herself available to constituents by visiting apartment buildings and meeting with residents outside normal business hours. She said wants to expand Foggy Bottom Association projects, like hosting events with student organizations including fraternities and sororities. “It’s almost creating, maybe a quarterly dinner or quarterly social event, where members of the community – both students and elderly residents – have something to look forward to and they actually see people in their neighborhood,” Patel said. She said students need to know their involvement in the ANC matters even though they may not live in the neighborhood permanently. “Most people have this transient mindset, ‘I’m not here long enough to make a difference,’ and I think we need to remind people, whatever time you’re here, you have an impact on the neighborhood,” Patel said.